It’s the time of the year hockey fans dread the most: the middle of August. Most GM’s are on vacation. The trade market is dead. In general, all is quiet in the world of hockey. The good news, however, is that the Avs report to training camp in less than a month. Coming off a season in which the Avs surprised the world by making the playoffs, expectations will be a lot higher come September 13th when everyone reports to camp. Each of the last three times the Avalanche have made the postseason, they’ve failed to qualify for the playoffs the next year, so the franchise will be looking to build off the previous year. Barring any surprise moves, Joe Sakic’s offseason is likely done. The roster you see now is probably the roster that will report to camp next month. Let’s take a look back and assess each move Sakic made this offseason as he looks to build another playoff team. It’s hard to truly grade this move since Francouz will be playing in North America for the first time, but considering his dominance in the KHL (.953 and .946 save percentages last two season), this is a fantastic gamble for the Avs. Spencer Martin has not developed well to date, so bringing in a talented 3rd goaltender was a necessity. If he transitions well, don’t be surprised to see him step into the NHL the next season full time. Among all the regular defensemen on the Avs last year, Barberio had the best possession numbers, and he wasn’t exactly sheltered with easy minutes. The second year on the extension isn’t ideal, but given his pending unrestricted status, he was likely to get a multi-year deal on the open market. Barberio is good depth to have heading into next season, so this was a smart signing. 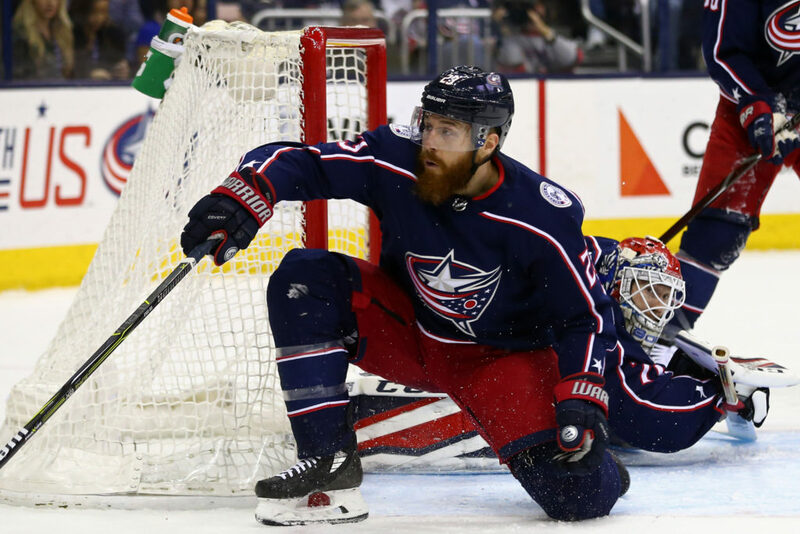 Bourque earned this contract with his effort last year, but he is an easily replaceable player and you would hope that if he is beaten out by a younger player, such as an AJ Greer or Vladislav Kamenev, that the coaching staff is willing to push him out. He’s a solid 13th forward who provides depth, but shouldn’t be in the lineup every night, so as long as the organization isn’t set on playing him every night, this is a fine signing. This was the biggest move the Avs made this summer, and likely their best. The Matt Duchene trade gave them an additional 2nd round pick in the draft, and their excess cap space gave them the ammo to take on a big contract to lower the asking price for Grubauer, who was the most coveted goaltender on the trade market. With Semyon Varlamov entering the final year of his contract, and Jonathan Bernier moving on, the Avs needed to make a move for a goalie, and they went all in. Grubauer’s numbers in the NHL are tremendous, but having never been a full time NHL starter, the presence of Varlamov will allow the Avs to ease him into the role with a split seeming likely. The Avs almost immediately signed Grubauer to a three-year extension, so they see him being the future in net unless his play dictates otherwise. A very smart move and terrific use of assets by Sakic, even if there is some risk involved. Of the two big UFA signings the Avs made, this was easily the best. Although the price for Cole is a bit high for my liking, Cole is an upgrade on Patrik Nemeth and will likely be filling the role Nemeth played last year. Unlike Nemeth, Cole has a little bit of offense to his game, so he won’t be a complete black hole. The biggest issues with the signing are that it creates even more of a logjam on the back end with all the defensemen signed (and the ones coming through the pipeline), and brings into question how they’re going to distribute the ice time. Cole will no doubt step into a top-four role immediately, possibly with Erik Johnson, but the coaching staff also were big fans of Nemeth, so how much ice time will there be to go around when the development of Nikita Zadorov and Samuel Girard needs to be taken into consideration as well. At the very least, Cole upgrades the defense, if only a little, so it’s an OK move. This one is a head scratcher. The Avs went out and gave nearly $3M a year to a guy who has scored 30 goals combined over the last three seasons, and committed to him for three years. Calvert is an OK 4th line player, but has never been able to stay healthy for an entire season, has poor poor possession numbers through his career, and is actually a downgrade on the player he will be replacing in Blake Comeau. Calvert is a good skater, and will likely be used a lot on the penalty kill, but committing to a player of his caliber is not necessary, and showcases the Avs inability to develop cheap, depth forwards. More so, this move does nothing to help fix arguably the teams biggest issue, which is secondary scoring. Nieto was coming off a solid year, so signing him was likely never going to be an issue. The issue will be if Nieto is able to re-create what he did last year. His 15 goals were actually sixth on the entire team. I would bet good money that doesn’t happen again. Nieto shot a career high 17.9 percent, which is significantly higher than his career 9.7 percent shooting percentage. He spent the majority of the year as the third best player on his line with Carl Soderberg and Blake Comeau, but with Comeau gone, you wonder if the magic is going to be there again. The Avs might have had to pay for a 3rd/4th line tweener coming off a career year, but this deal likely won’t hurt the team much in the long run, unless Nieto’s higher salary ends up blocking younger players from making their way into the lineup. The Avs did well to not commit long term to Nemeth. His possession numbers were not great last year, and although he was very good on the penalty kill, the Ian Cole signing more or less took that job away from him. The price tag on this is interesting, and seems high, considering it comes just one off-season after the Avs and Zadorov had issues coming to an agreement because Zadorov hadn’t produced a lot of offense to date. Nemeth has only three goals in 176 career NHL games. Nemeth provides solid depth on the blueline heading into camp, assuming he’ll be 100 percent after off-season shoulder surgery, and the one year deal gives the Avs some freedom to move on from him next summer and make room for younger players. Overall, the Avs had a very average off-season. Grubauer is no doubt their most important acquisition, but there are still question marks on him since he’s never been a true number one goaltender at the NHL level. Sakic did not address the Avs secondary scoring issue, so he seems content just banking on players like Tyson Jost, Alexander Kerfoot, and J.T. Compher improving in their sophomore years, which is always a risky proposition. Big changes were not likely after last season, but given the ultra competitive Central Division, a small setback can knock you out of the playoff picture pretty quickly. Expectations will be higher, and Sakic seems confident the players that were already on the roster are up to the task.